Make your contact center a strategic asset that drives increased revenue, greater customer satisfaction and higher retention levels. BroadConnect Customer Journey Platform uses powerful predictive analytics to dynamically predict individual customer needs and match your callers with the right agent — improving performance, efficiency, sales and customer experience. 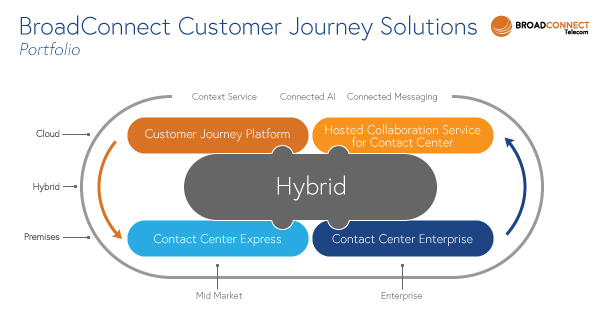 The BroadConnect Customer Journey Platform is a cloud-based solution with the scale, flexibility and reach to meet any need from a first contact center to a centrally managed global, multisite enterprise network. Your customers have the freedom to contact the center through the channel of their choice, but the predictive analytics-based routing ensures that they reach the agent best suited to their needs at every stage of their journey. BroadConnect’s innovative Customer Journey Platform uses the combination of big data and predictive analytics to deliver a highly personalized customer experience and improved business results. Analysis of all customer interactions across every channel builds understanding of customer intent to support predictive routing. Workforce Management Suite supports dynamic scheduling, increased productivity and improved quality management. Simpler dynamic management of routing to in-house, home-based, remote or virtual agents balances workload and improves response to changing traffic. Customer Journey Analyzer integrates data from different systems, identifies customer and agent attributes, and optimizes dynamic agent routing. 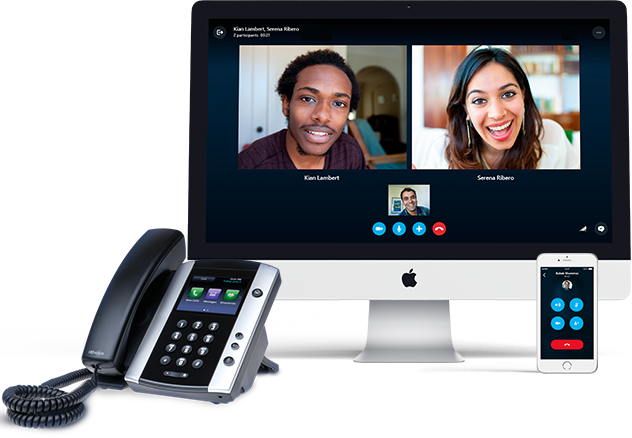 On-demand voice and chat collaboration tools simplify consultation with colleagues, managers and experts to speed up first-time resolution. Managers have real-time visibility and central control of all interactions from any site with intuitive dashboards unifying real-time metrics from multiple systems. If you’re planning to deploy a new contact center or migrate an on-premise system, BroadConnect’s Cloud Contact Center as a Service, provides the flexibility, scalability, visibility, and security you need. To find out how it can transform the customer experience, drive more revenue, increase efficiency and reduce costs, contact us.